On the corner of E First Ave and N State St; building has green awnings. Our mission is to help people manage the risks of everyday life, recover from the unexpected and realize their dreams by providing Auto, Home, Renters, & Life as well as Farm Ranch, Business, Liability, Boat, Motorcycle, and RV coverage. 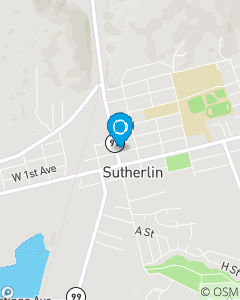 Serving Sutherlin and other Douglas County communities, including Oakland, Yoncalla, Drain, Curtin, Elkton, Wilbur, Umpqua, Glide, and Roseburg. Call or come visit for more information or a free quote! Team Brown is licensed and highly trained to assist you with your insurance and banking needs!